Collecting shoeboxes and tissue boxes! On Friday Nov 21, Shakira is collecting shoeboxes and tissue boxes. Please drop off in the Greenhouse Friday morning. Due to Half-Day (ONLY for Middle School)/ 6th & 7th Grade Family Conferences today. Wellness Week has been a big success so far. • Our "Waste System Retraining Program" has been a highlight, thanks to our 6th Grade Wellness and Green Team stewards. Keep up the great recycling, composting and terracycling. • New Terracycling bins are located in the lobby and on the 5ht floor. Please see the bulletin board for the many Terracycling Brigades. • Children enjoyed Fencing with the New Amsterdam Fencing Academy on Tuesday - even in the cold! • Harvest Day will be held on Friday with a delicious fall harvest prepared by Chef Sara and WITS Chef Partner Dean Sheremet. 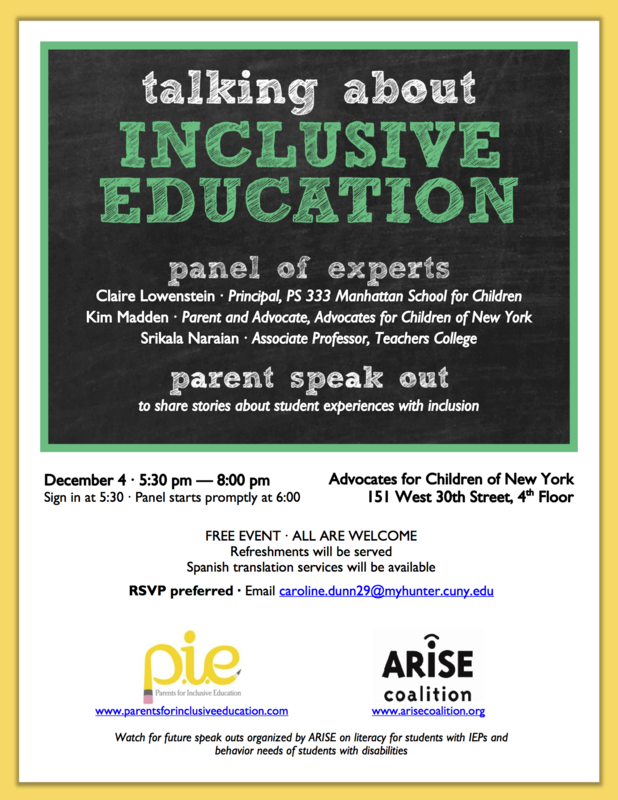 PIE and ARISE have joined together to co-host a free event Talking about Inclusive Education. The session will host a panel of experts and a parent speak out. 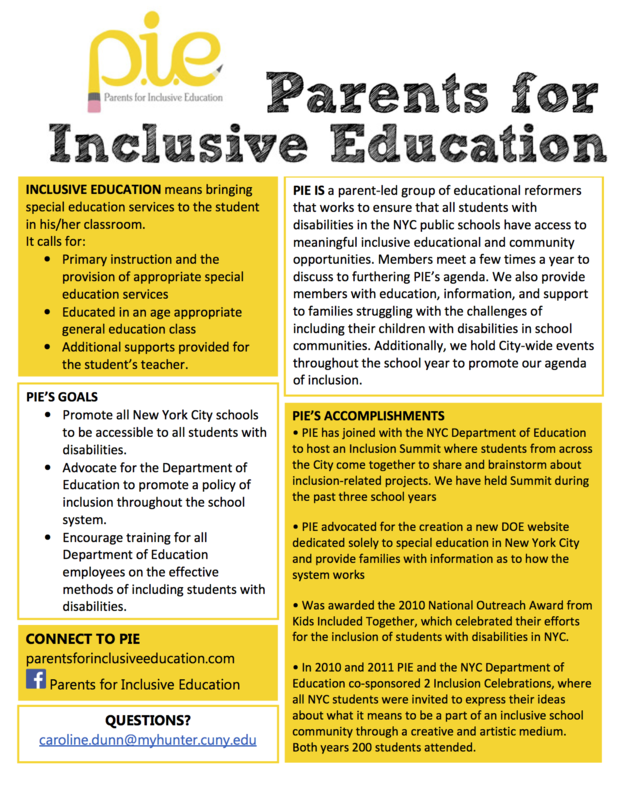 The event will be held on December 4th from 5:30-8:00PM at the Advocates for Children of New York, 151 West 30th street. All interested parties are invited and there will be Spanish translation services available. Please forward this to both parents, professionals, and those who you feel may benefit from the event. RSVPs and questions can be directed to caroline.dunn29@myhunter.cuny.edu.